Bruce A. Halverson, age 78 of Sauk Centre, passed away after a long battle with cancer on Friday, January 18, 2019 at the CentraCare Health Hospital in Sauk Centre, Minnesota. A funeral service will be held at 2 p.m. Thursday, January 24 at First Lutheran Church in Sauk Centre with Pastor Mike Carlson officiating. Interment will be at Greenwood Cemetery in Sauk Centre. Visitation will be from 4 to 8 p.m. Wednesday at the Patton-Schad Funeral Home in Sauk Centre and from 1 to 2 p.m. Thursday at the church. Bruce Allen Halverson was born January 29, 1940 in Mankato, Minnesota to Paul and Albertina (Zastrow) Halverson. He graduated from Mankato High School and continued his education at Mankato State University; receiving a Bachelor of Science Degree in Industrial Arts. He worked at Sauk Centre Public School as an Industrial Arts teacher for many years. He was united in marriage to Dianne Nohrenberg on July 22, 1967 in Sauk Centre. During retirement, Bruce owned and operated Bicycle Service Center and used his talent of tinkering and fixing bicycles for over 30 years. He also volunteered his time to Meals on Wheels. 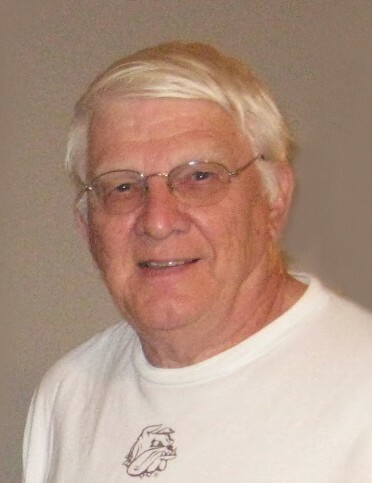 Bruce was an active member of First Lutheran Church; serving as a trustee and singing with the choir. He was also a Mason. Survivors include his children, Jay Halverson of Minneapolis, Krista Peters of Sauk Centre, Lori (Jason) Thom of Springfield, Jeffrey Halverson of Sauk Centre, and Scot Halverson of Los Alamos, NM; and five grandchildren. Bruce was preceded in death by his wife, Dianne Halverson on May 19, 2014; parents; and brother, Leslie Halverson.